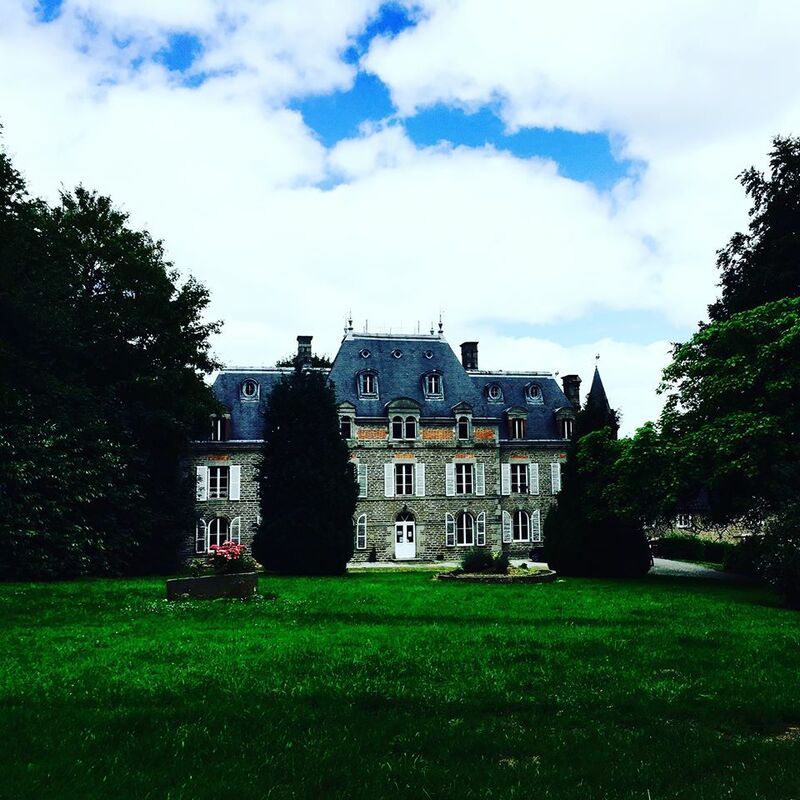 The Domaine du Coquerel finds its roots in the heart of the bocage Normand a few kilometers from Mont- Saint-Michel. The identity of the AOC Calvados cidre apples comes from a unique terroir and has slowly evolved since the Xth century when the first orchards were planted in Normandy. The blending and balance of apple variety is fundamental in the cidre production process to bring Coquerel Calvados its unique attributes. There are four apple families: the bitter, bringing balance and harmony; the sweet, for their sugar; the bitter sweet, for their tanin and finally the acidic for their freshness. The apples are selected, picked and washed carefully before being crushed and the apple juice is then left for natural fermentation in the Domaine.The Master Distiller then carefully selects the cidre batches once they have reached their optimal maturity and distilled them in the three traditional Calvados copper still columns. 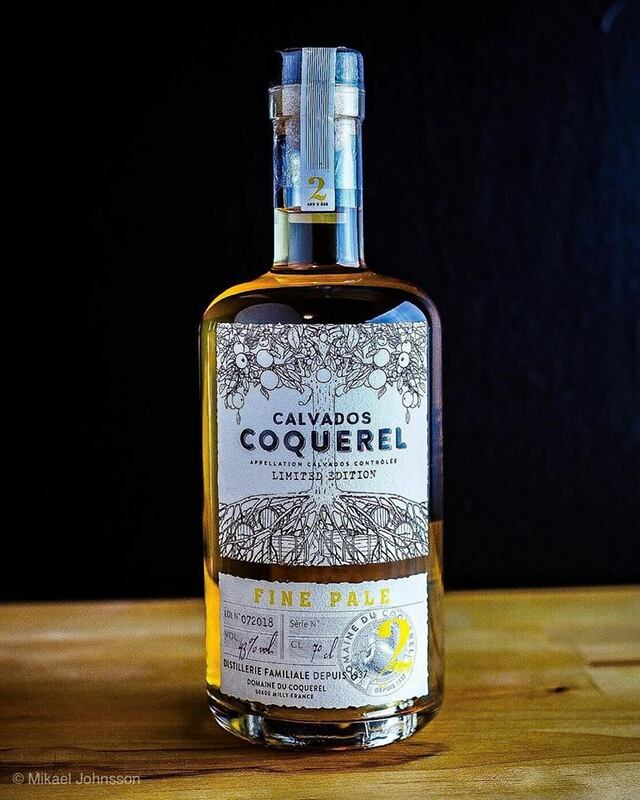 Bottled in limited edition, Calvados "Unpublished" Coquerel House, have the singularity of being raised for several years in French oak barrels. 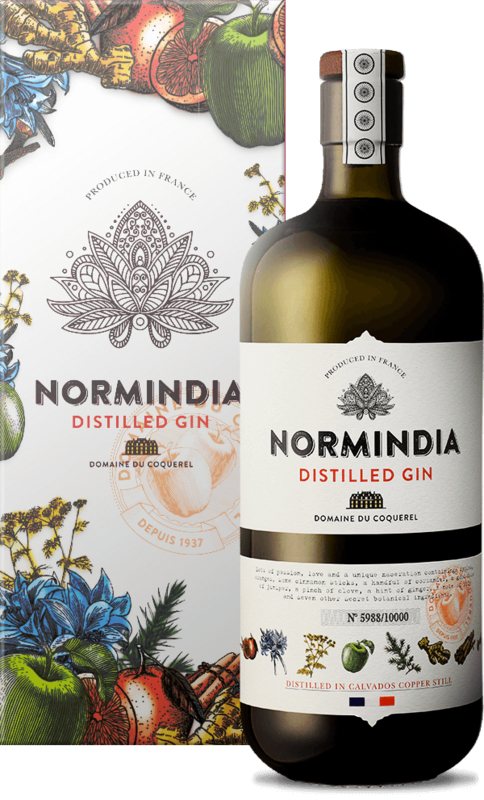 Then in order to sublimate their aromatic palette, they are matured for months in barrels that previously contained a wine or other brandy. The sap of the apple tree flows into the barrels to recall that the House seeks above all to exalt the apple aromas of its Calvados and to reveal unexpected notes. 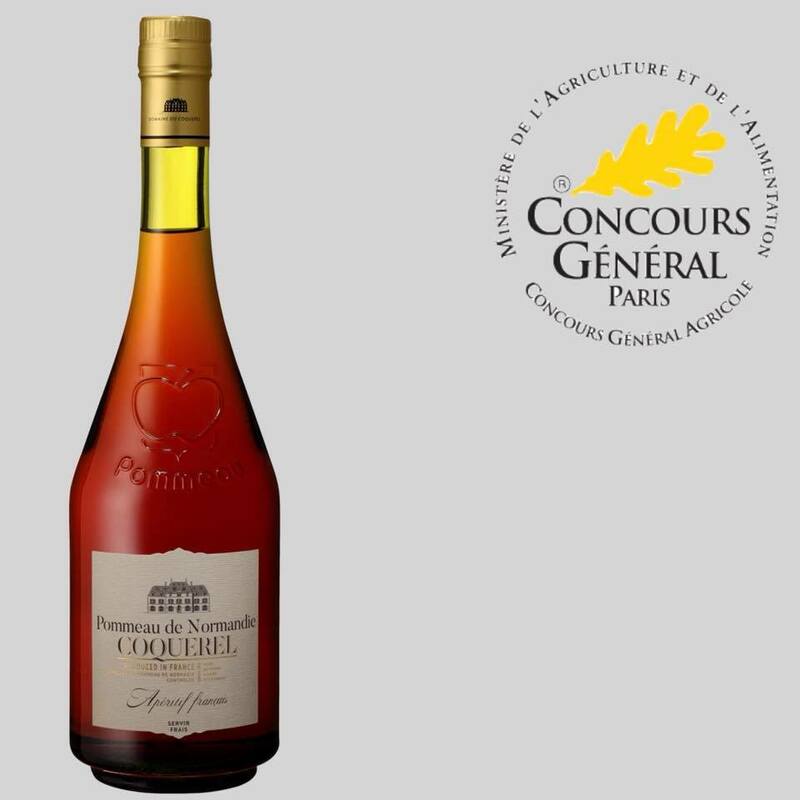 Calvados Coquerel 4 years old Bourbon is the first of the range "Les Inédits" of the Maison Coquerel. Assembly of Calvados aged four to seven years in French oak barrels, then refined for 14 months in barrels of Bourbon. This ripening with the fruity and fruity finish is an invitation to travel across the American Farwest. This blend was aged for 4 to 8 years in fine french oak barrels and the finished for 14 months in fresh bourbon barrels. 2 to 3 years old Calvados aged small french oak barrels. Bottled in Lot of 2,000 bottles. Assembly of calvados aged for eight months in French oak barrels of 250HL, it then rests in small new casks before finishing aging in barrels over 15 years. A racy eau-de-vie, fruity, full of freshness and liveliness. To serve on ice or as a cocktail base. 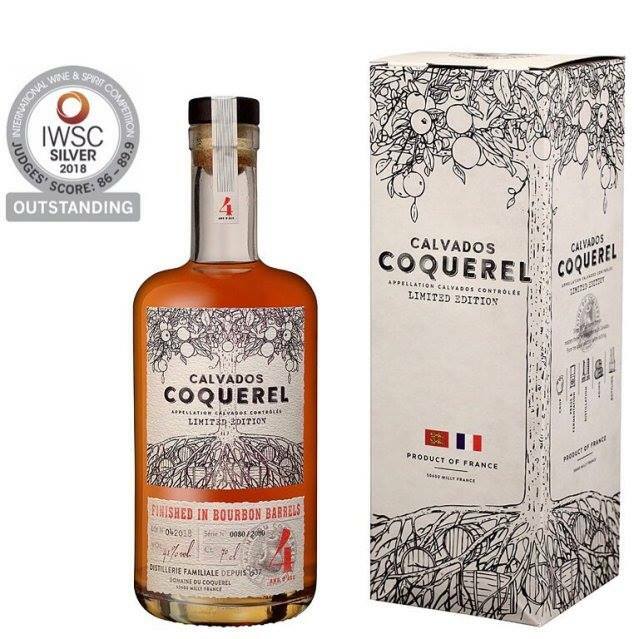 Calvados 15 years old Triple Cask is the emblematic assembly revisited by Maison Coquerel. 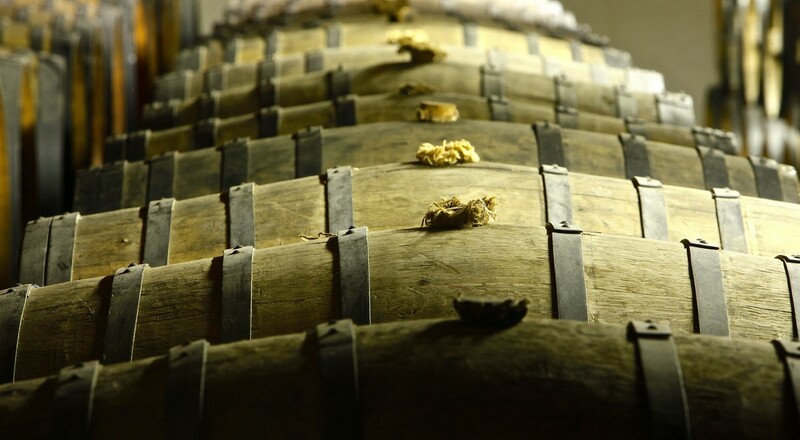 About twenty lots of Calvados aged more than fifteen years in small French oak barrels then refined for more than six months in red casks of Cognac, Armagnac and Calvados. Capricieuse XO, aromatic richness and visual elegance sublimed by a ligilineal carafe, decorated by a hand blown apple. 40°Pomme d’Eve, an ode to the forbidden fruit. The apple, central product of the Maison Coquerel, is nestled in the center of the flask and flavours subtly our calvados. La Quintessence 30 years, is both a remarkable eau de vie and carfe. A jewel of our cellar that needed a magnificent flask.